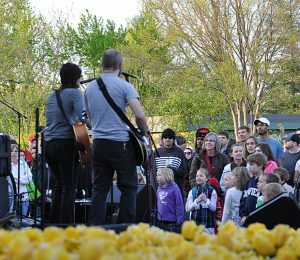 A new tulip event and FREE concerts on Thursdays in April will rock the garden. CINCINNATI, OH (April 1, 2019) – It’s about to get colorful at the Cincinnati Zoo & Botanical Garden as 100,000 spectacular tulips get ready for their close ups! 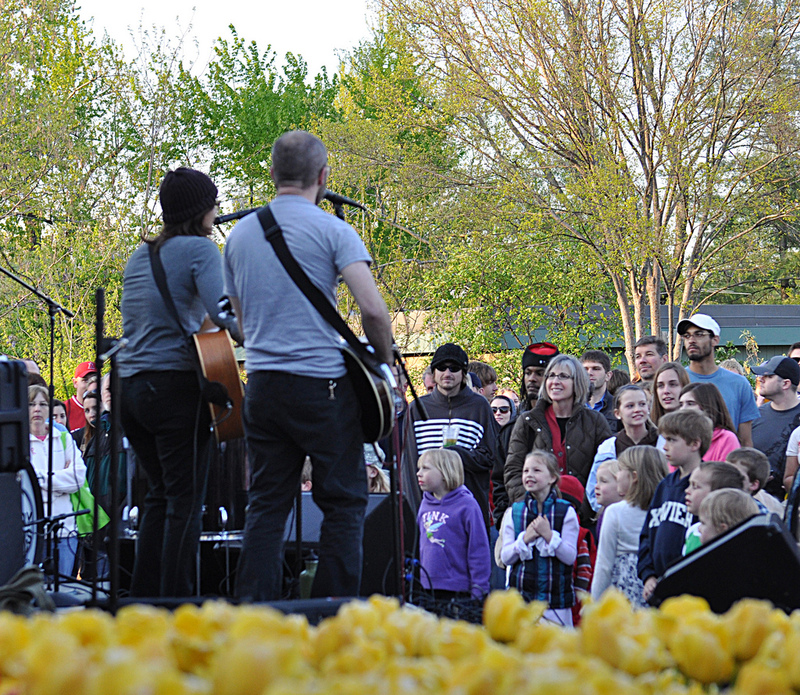 Visitors can enjoy the bloomin’ awesome gardens daily during Zoo Blooms and at Tunes & Blooms FREE concerts Thursday evenings in April. And, at the all-new Twilight ‘n Tulips event on April 16! This year’s concert series, presented by Macy’s, will kick off this Thursday with a performance by the Zoo’s very own Cecil Jackson, backed by his Dry Ridge Band! When Cecil isn’t working with elephants, he sings and plays bluegrass music all over the region. Shiny Old Soul, described as a combination of gypsy jazz & vintage rock, will also play that night. Click here to see the full FREE concert schedule. On April 16, guests can sip “Mint Tulip” cocktails, stroll through the gardens, and enjoy dinner-by-the-bite at the first Twilight ‘n Tulips fundraiser. Tickets to this unique celebration of tulips and gardens include seating for the keynote speech by renowned ethnobotanist Dr. Mark Plotkin*. Click here for more information. Tunes & Blooms admission is free after 5pm. Music starts at 6 p.m. and ends at 8:30 p.m. Parking is $10. The Zoo opens daily at 10 a.m. and closes at 5 p.m. Cincinnati Zoo members and Adventure Ticket holders can enjoy early entry at 9 a.m. For more information visit cincinnatizoo.org. « Cincinnati Zoo’s Fiona is still #1 in Cincinnati! Cincinnati Zoo’s Fiona is still #1 in Cincinnati!